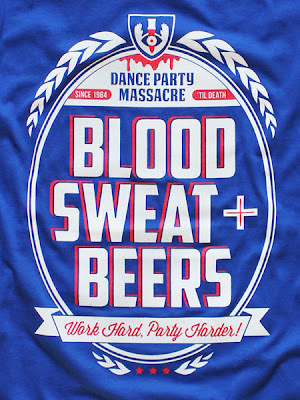 Dance Party Massacre "Blood, Sweat & Beers"
Dance Party Massacre‘s “Blood, Sweat & Beers” design looks great on a koozie; it looks INSANE on this t shirt. Everything about this design and it’s reincarnation as a t shirt is on point – the twist on a well known phrase, the look of a classic beer label, the All-American colors, and the flawless incorporation of the DPM logo. For a few dollars more, you can get a great deal on the shirt and the 3 koozie combo pack. 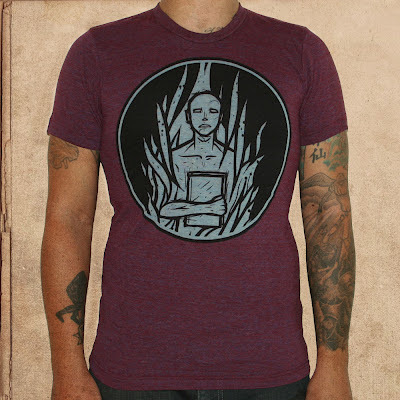 Reward your hard work over at DPM’s online store.